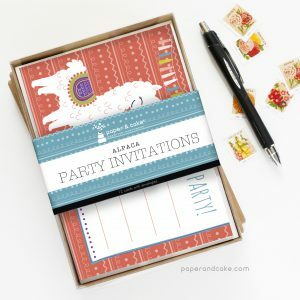 A dozen whimsical party invitations, with tassels. 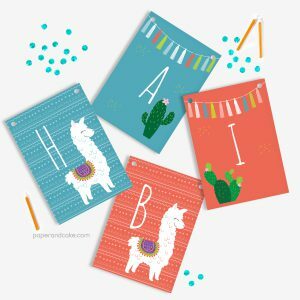 A ready-to-hang birthday pennant banner with whimsical Alpacas (or Llamas!). 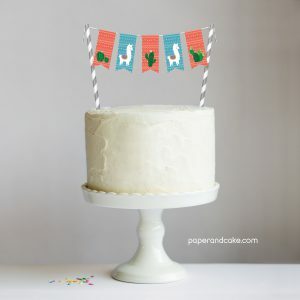 A ready-to-use cake topper with whimsical alpacas (or llamas!). 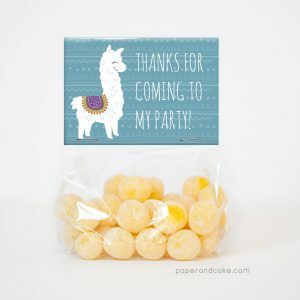 Ready-to-fill party favor bags with whimsical alpacas (or llamas!). 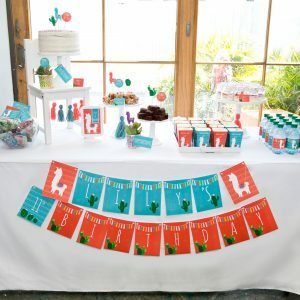 A bright whimsical set with yarn tassel details.